Lucy’s cardi looks really good. The color is so versatile to wear with other things I can’t see why someone would complain. You dia a really good job on that and your socks too. 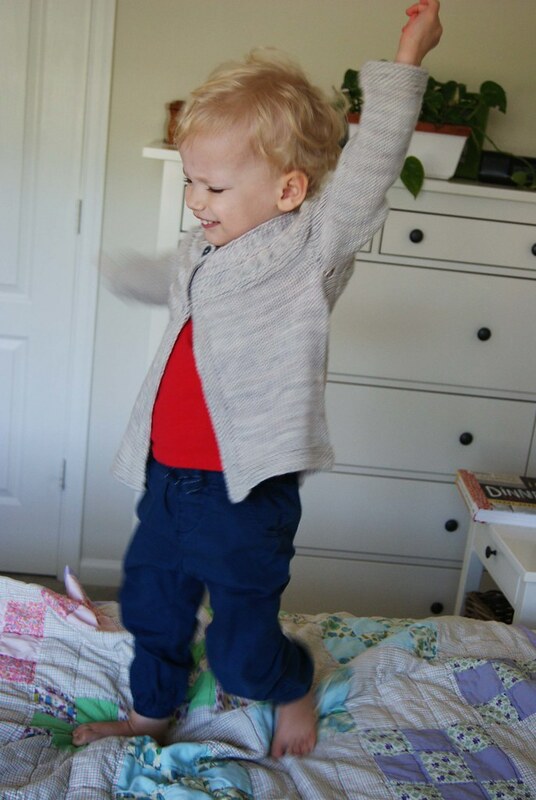 What a sweet little cardigan and how awesome is it that Lucy love it! Everytime I see a knitting post I wish that I didn’t get rid of all my knitting needles. 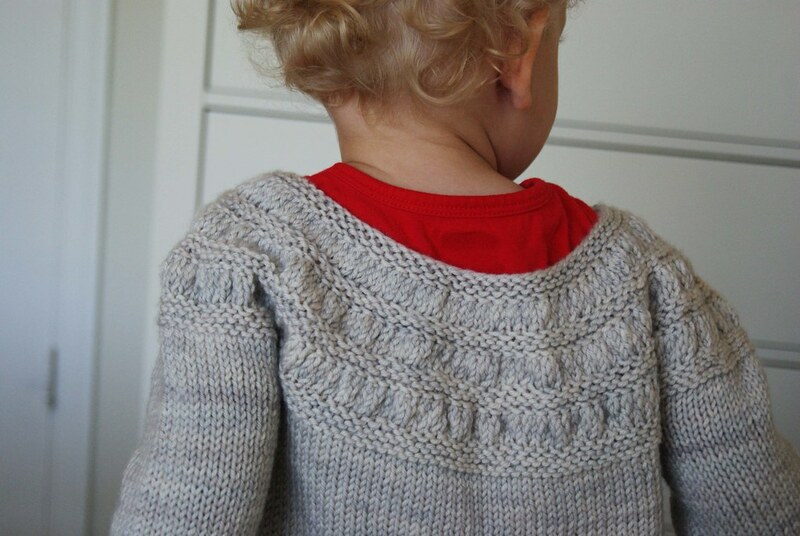 Oh, the cardigan for your little one is so nice!! I believe, that Lucy loves her new clothing. And socks… I love the color. So adorable and the cardi is cute too. although I don’t knit, I certainly can appreciate the cute knit projects! love that little cardigan. and hey- a girl’s gotta look cute, whatever the weather! Lovely socks and cardigan. I have yet to really knit a sweater or large wearable garment. Socks are so fun (and my obsession continues). 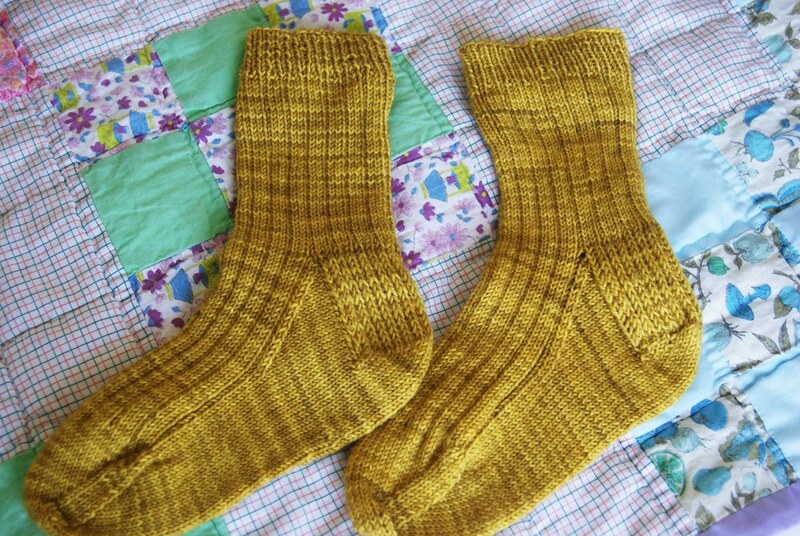 Laura, please keep sharing your knitting projects on your blog. They are so cute….as is Miss Lucy. Because of your posts I found the Plucky Knitter……now how to finally get yarn from her!! It’s a challenge I think. 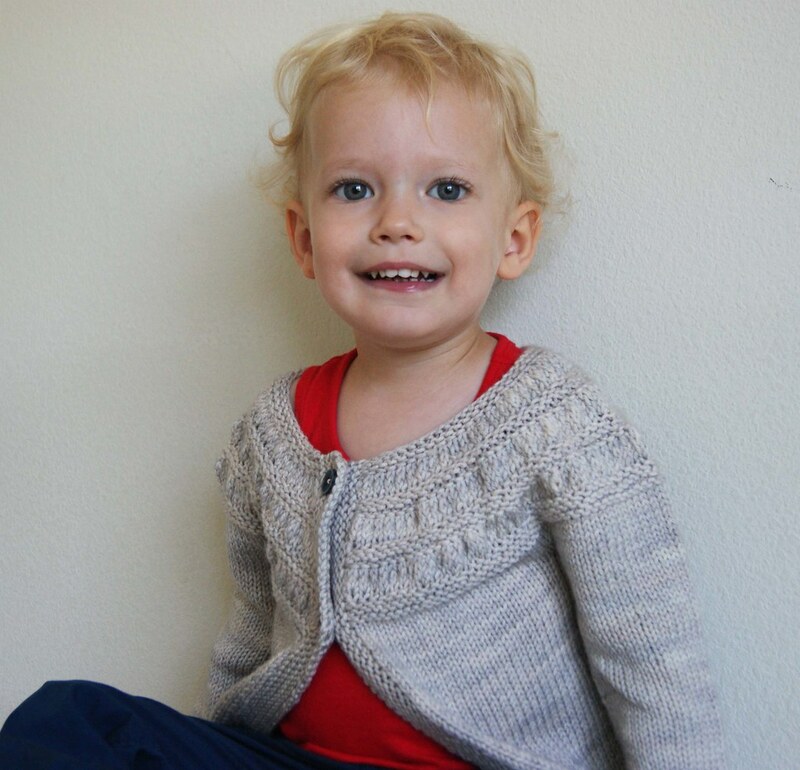 Cute cardi for a cute little sweetie! What is it that is making you knit woolens in summer.? Great work though. 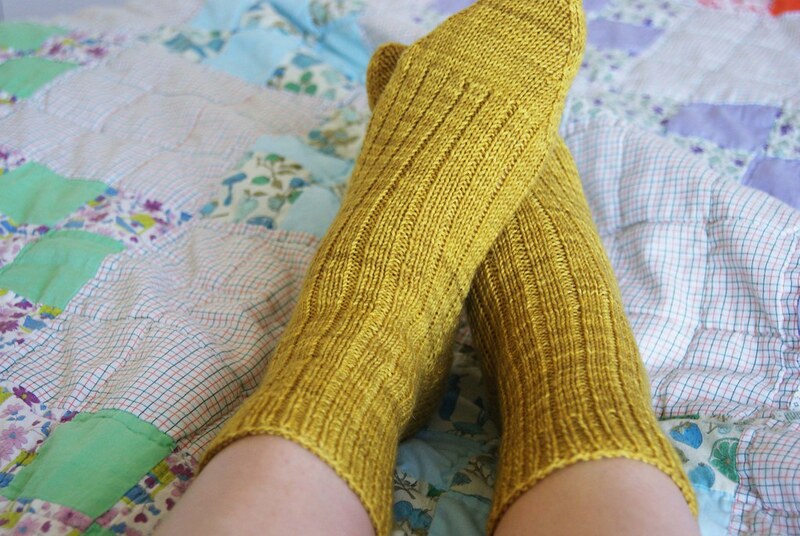 Yellow socks are so cheerful, aren’t they? Your first socks are great and I hope you enjoy wearing them! Very cute, I love those socks they look so warm and cosy..it sounds like you might have to wait a while to wear them though. Very sweet cardi too…… I have some balls of yummy red rowan tumble to make something but after the last stressful attempt it has been put on hold! 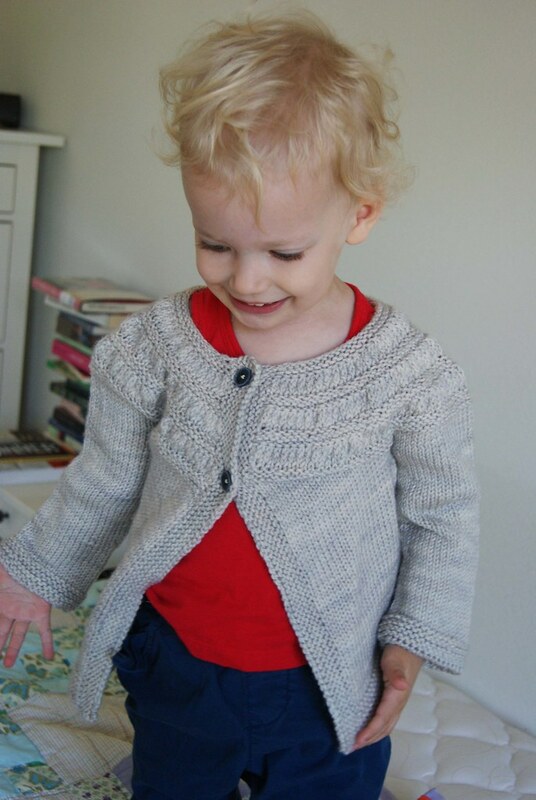 I love the tea leaves cardi, I have knitted it several times in the adult size for myself but your little girl looks totally adorable in it! and love the socks too – just a fun colour!